As both a firewall and UTM it's perfect, however, sometimes with setting up the spam filters there is an issue. As we are a solution provider and not product oriented, we give the best solution for our customers, with a good price. We are the number one company in the region, BTC, and operate in Egypt, Iraq, Jordan, Lebanon, and Saudi Arabia. As both a firewall and UTM it's perfect. For me, the customer satisfaction, and awareness, is the most important thing. I usually train all my clients on their chosen system. For me, the installation and setup is simple. I work hard to do the simulation for the customer, and discuss all the requirements before implementation with the client. In one project I implemented Sophos for was a bank. 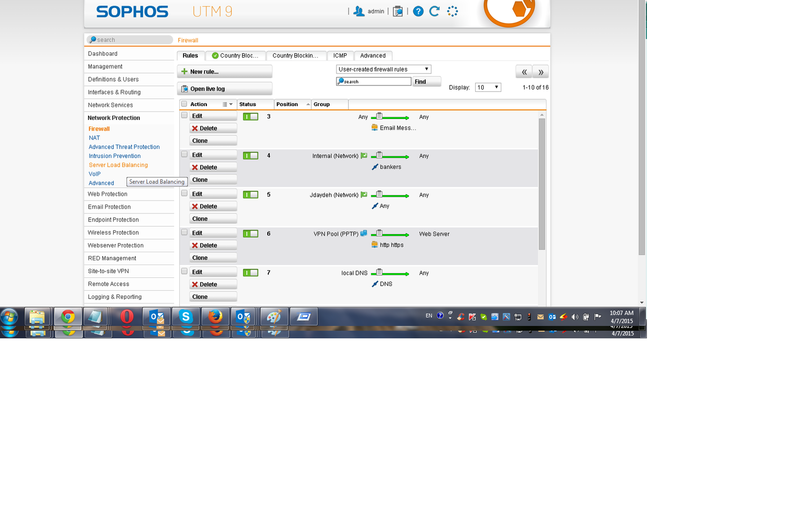 I had to involve the Sophos team as the client was asking for WAF in transparent mode with HTTPS inspection. They were 10/10. Prior to Sophos, it was mainly Juniper and Fortinet. Give us 10 minutes of your time, and we will show you the differences. When I do presentations, I give potential clients demo access to the solution(s) I am presenting.